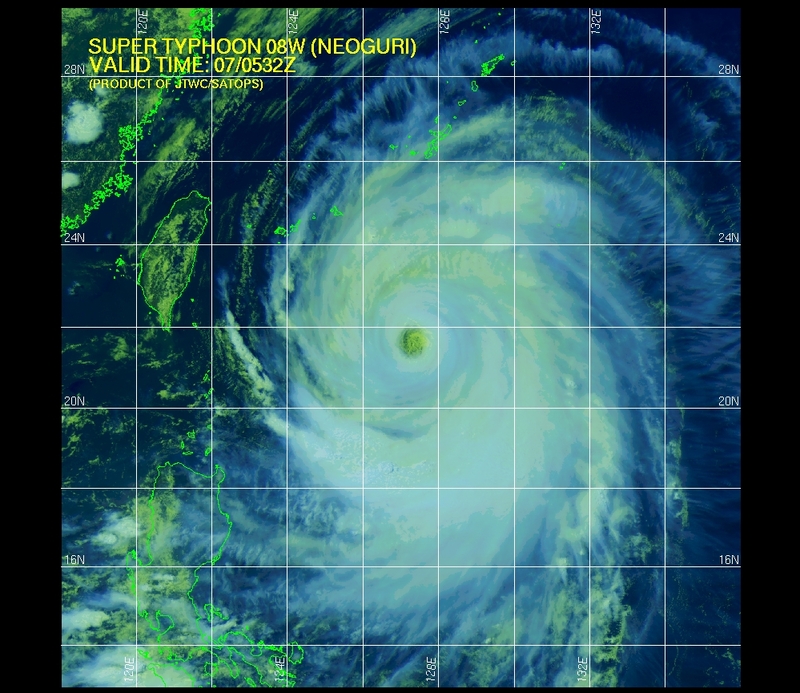 7 July 2014: It is now Super Typhoon NEOGURI! 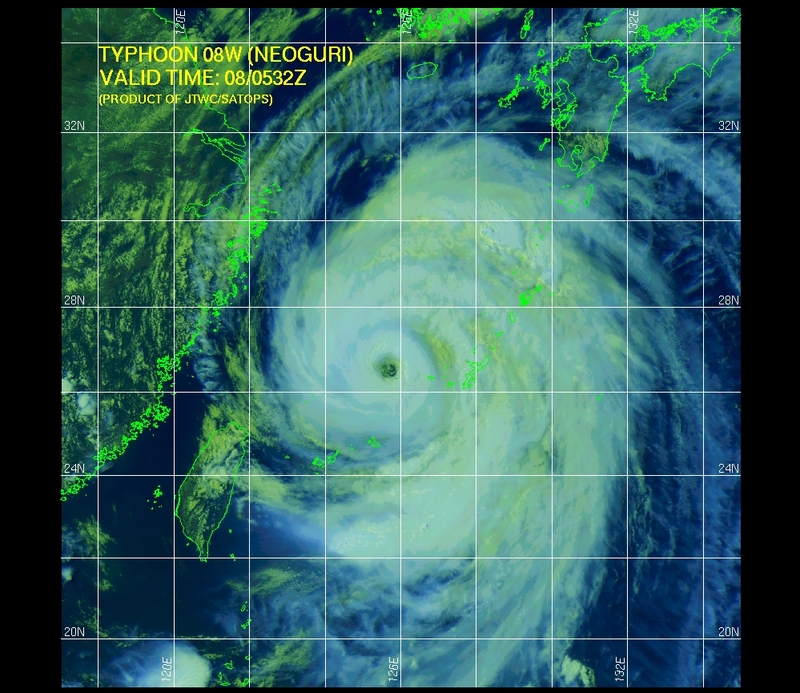 True to the forecast NEOGURI has now reached ‘Super Typhoon’ strength with maximum sustained 250 kph (~156 mph) winds, a category 5 in the Safir-Simpson Hurricane Wind Scale , gusting to 304 kph (~190 mph 3-sec gusts) as it tracks NNW to the east of Taiwan. 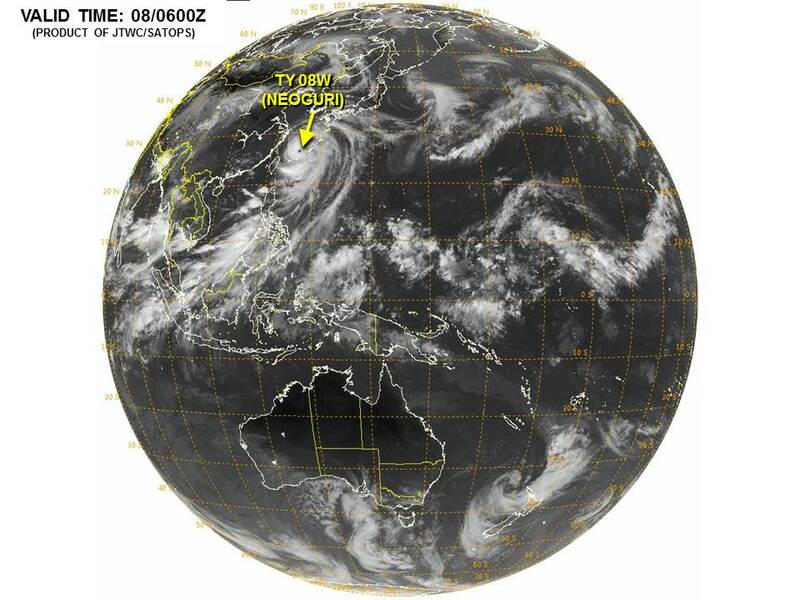 Super-typhoon NEOGURI continues to track in a favorable ocean-atmospheric environment, which may promote further strengthening in the next 12 – 24 hours. All interest around the Yellow Sea basin, from Taiwan and China, to Korea and Japan must monitor the progress of this super typhoon closely over the next couple of days at it carries the potential for causing severe damage to buildings and infrastructure through the impacts of high winds, extreme rain, and storm surge. Typhoon NEOGURI has weakened over the past few hours as it continues to move northward between northeastern Taiwan and southwestern Japan. 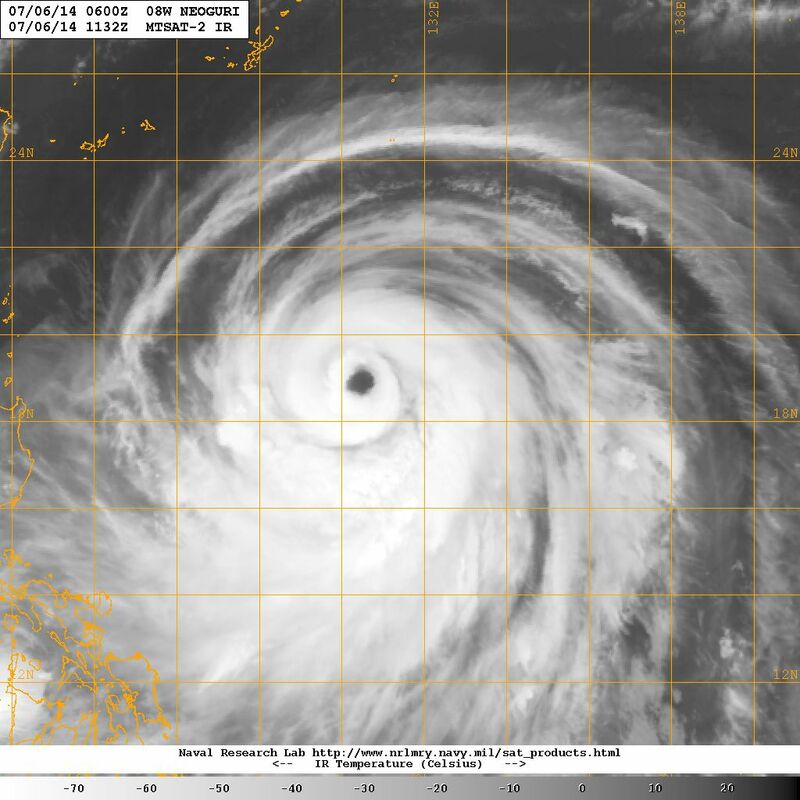 The appearance of the storm has changed in satellite imagery, becoming more open with a larger eye. The forecast track has shifted slightly to the east. 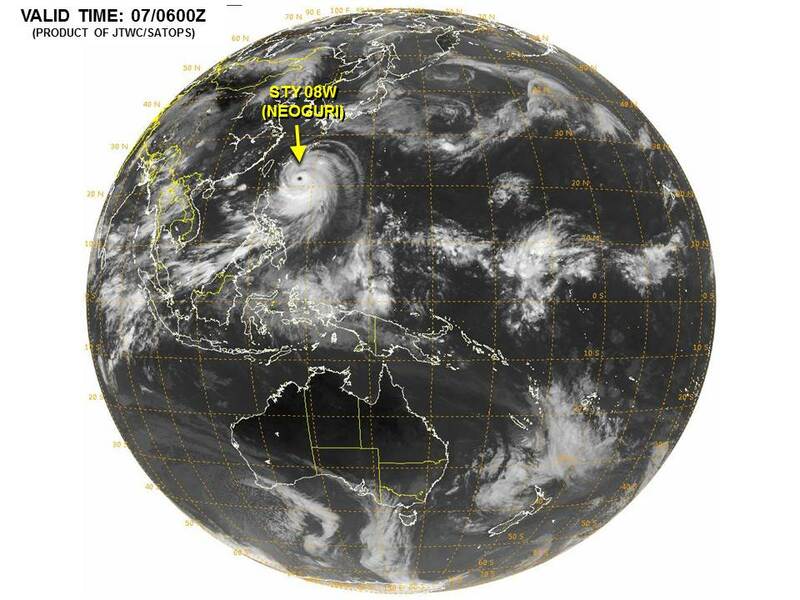 Osaka, Kyoto and even Tokyo appear to be in line with the projected track over the next couple of days.